Activision’s Call of Duty franchise is at it again, with another 'day to remember' in the gaming industry. This morning Activision announced that Call of Duty: Ghosts has shipped to retailers a total of 1 billion dollars. This puts the game in direct competition with Rockstar’s Grand Theft Auto 5 that sold over $1 billion worth of copies to consumers in three days. Activision CEO Bobby Kotick stated that “Call of Duty is by far the largest console franchise of this generation”, as part of the announce statement this morning. Its previous game, Call of Duty Black Ops 2 still holds the record for the most generated revenues in a given year. Though it is still too early to tell Call of Duty Ghosts assets, we can only assume that it will make its mark on the gaming franchise. 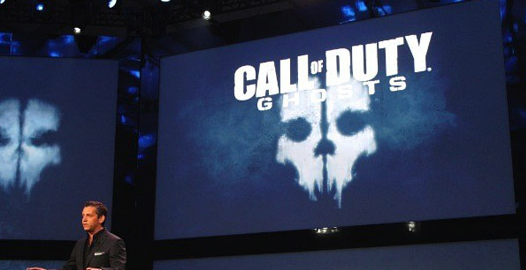 GameStop also announced that Activision’s Call of Duty Ghosts was the most pre-ordered game this year. However, as Ghosts was just released yesterday, we’re still waiting on an announce statement from Activision for their launch week sales. What are your thoughts on this? Do you believe that Activision's Call of Duty: Ghosts will be the new record holder for the most sold games such as before? Or will Rockstar's GTA 5 still be the 'game to beat'? Leave your thoughts below.